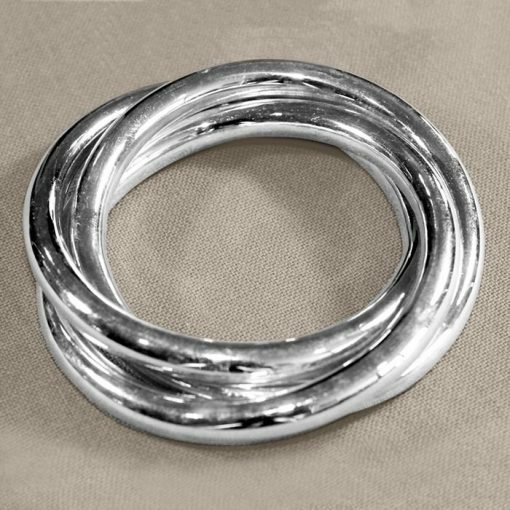 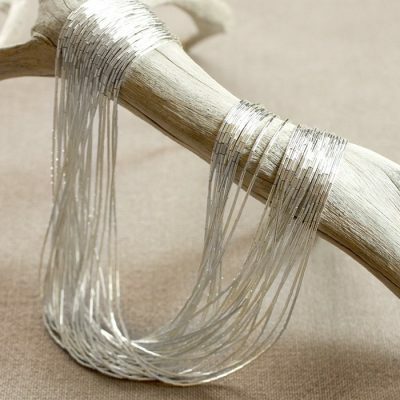 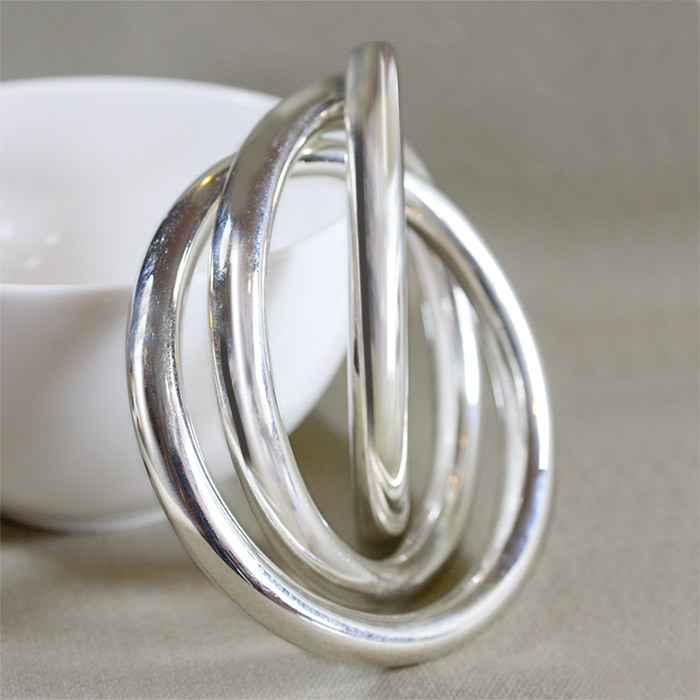 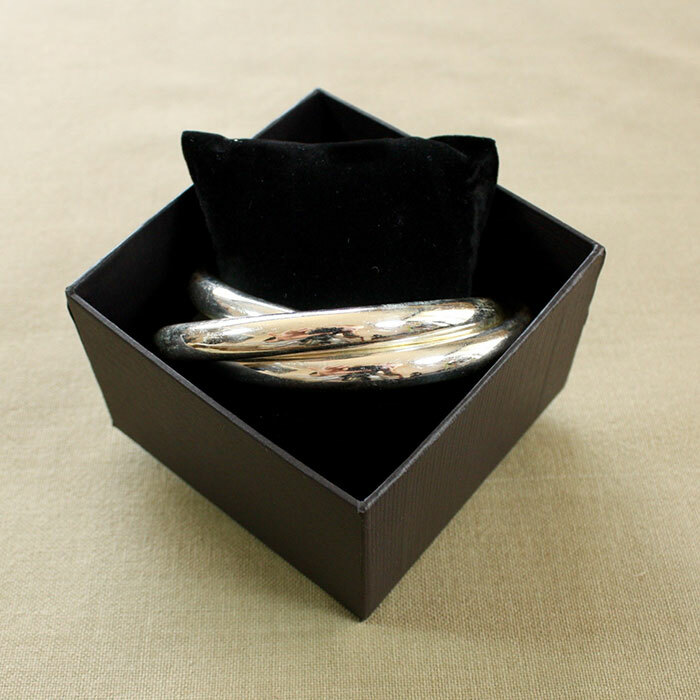 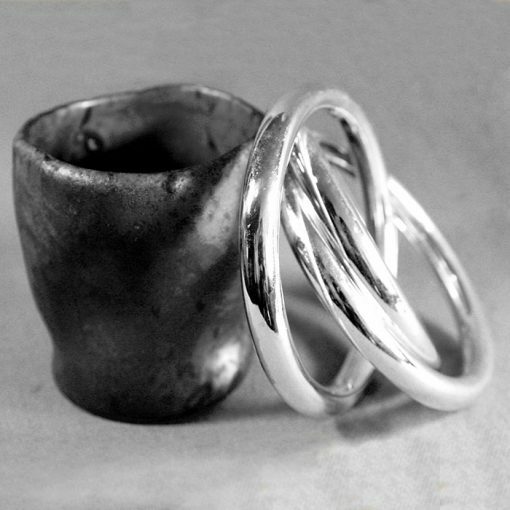 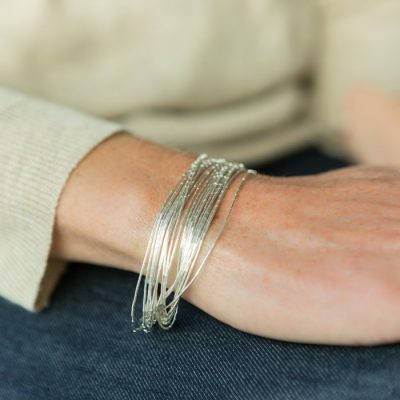 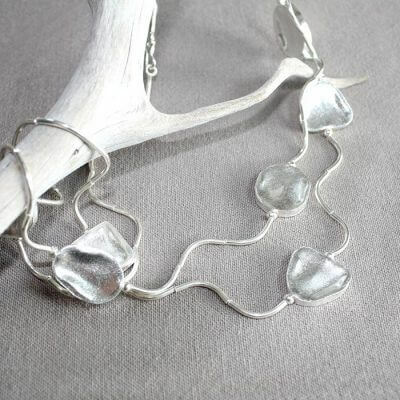 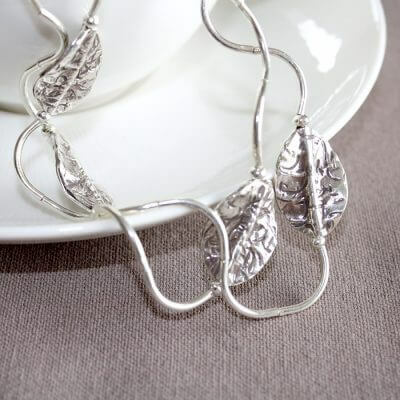 A striking sterling silver bangle, 3 intertwined silver rings move freely, creating an ever changing look. 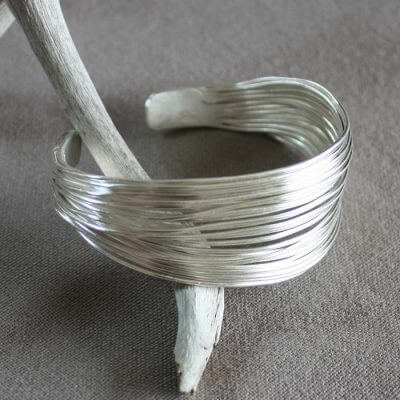 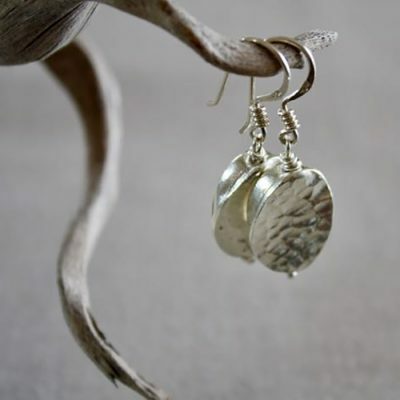 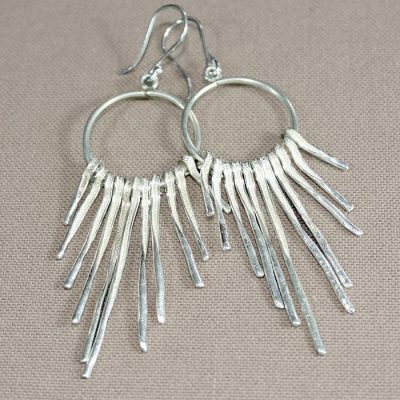 Hand-crafted in Northern Thailand, this bangle can be worn both formally or in more casual situations. 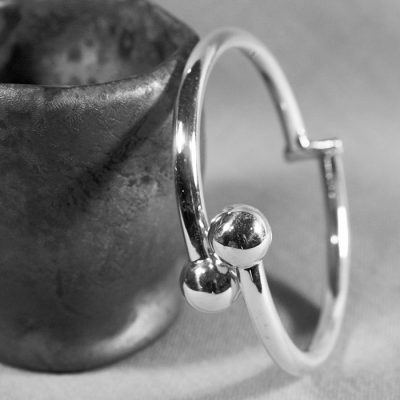 All our jewellery is Sterling Silver, this bangle has been hallmarked by the London Assay office.